This summer I’ve recreated some of my favorite childhood sweet treats, each with their own comfort chic twist! From s’mores decked out in milk chocolate bacon bars to cupcakes kissed with bourbon, fruit pies laced with ginger spice and avocado popsicles spiked with tequila, my food adventures may have been inspired by fond childhood memories, but they are definitely not for kids! 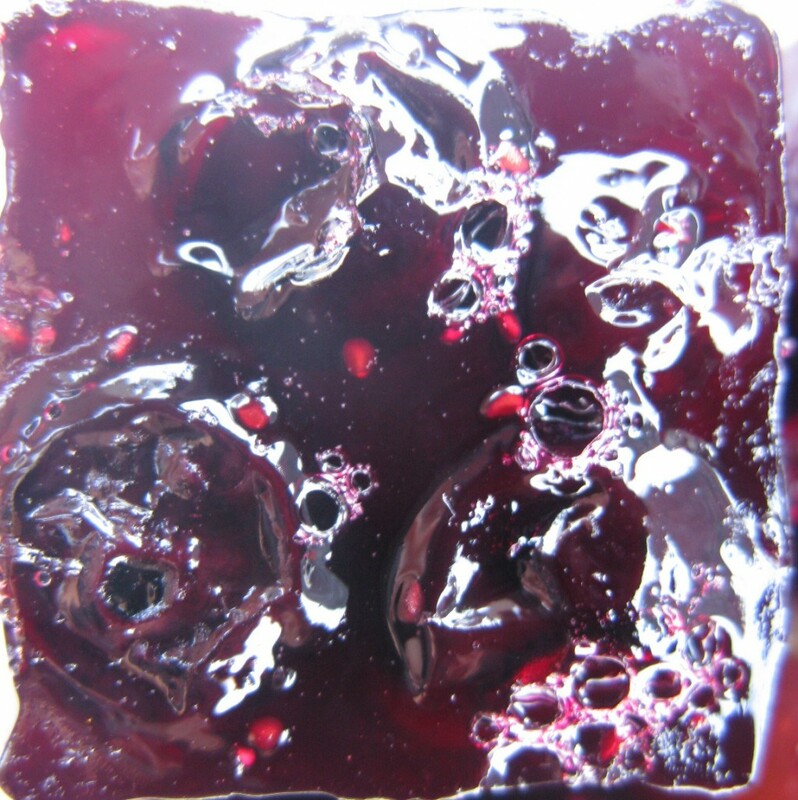 Last month, another dessert from my youth (though certainly not a beloved one) became the star of a culinary makeover: Jell-o! Bill Cosby’s favorite jiggly treat was never one of mine. Its strange texture and fluorescent colors horrified me as a child, and I stayed far away from anything resembling it. That is, until college. It was Jim, one of my best friends from the Buff, who showed me the merits of this gelatinous mass. I was fortunate to also have this dear friend with me at school in the Big Apple, and it was at NYU where Jim and I first experimented with the ubiquitous Jell-o shot. Ours were watermelon and lime flavored, made in my tiny dorm room fridge, and always leaked out of their thin paper Dixie cups and on to last night’s pizza. They sure weren’t pretty, but well, they got the job done! Jim’s also a captain for The Dinner Belle, and our shared culinary interests (and preferences) have moved light years beyond our first Jell-o shots. Where once there was Crunchy Potatoes made from frozen Oreida hash browns, Campbell’s cream of onion soup and corn flakes, now there are Bourbon Braised Truffled Smashed Potatoes made from Hudson Valley bourbon and American Perigord truffles. Big dif! So when Jim recently turned the big 3-0, I decided to remind him of our younger years by surprising him with a birthday “cake” made of the very same jiggly treats first perfected in our freshman year. 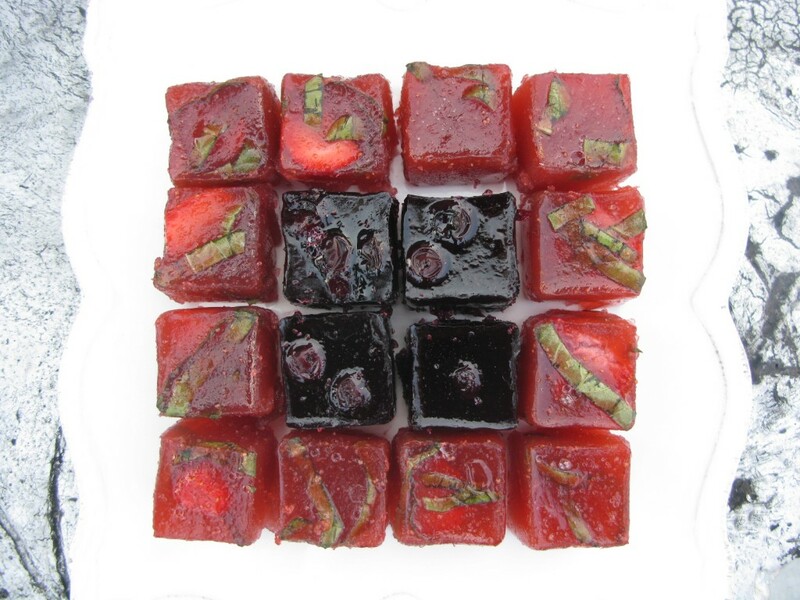 I replaced our original flavors of watermelon and lime with Strawberry-Basil Margarita and Blueberry, Chambord & Champagne, respectively, swapped the artificially flavored Jell-o packets with plain gelatin and fresh fruits, and ditched the leaking Dixie cups for perfectly square, silicon ice cube molds. We were headed to the beach, and my thinking was that these adult goodies were a clever way to sneak the hooch out to Hamptons. Water bottles filled with vodka are so college, and it turns out New York thirty-somethings actually flip for Jell-o jigglers. My intentions were good, but turns out my method was flawed, as the molds proved next to impossible for extracting the Jell-o and misshaped most of the shots. Next time I’ll make a baking pan’s worth and cut them out with a cookie cutter or freestyle my way through them with a sharp knife. 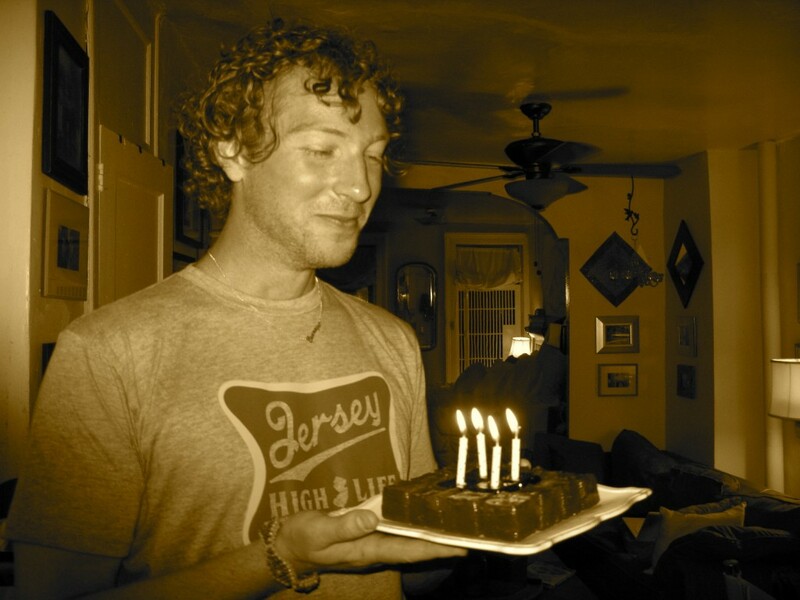 I’m not sure if Mr. Cosby would approve of this J-E-L-L-O, but Jim gave these 5 stars, and after blowing out the candles, gathering our group of Buffalo expats, and hitting the beach, we were sure to Eat it Up! Make sure the tequila and Cointreau are well chilled in the freezer. Puree the heck out of the strawberries, so even the seeds get pureed as best you can. Add enough water to the berries to make a total of 2 ¼ cups liquid. Boil the lime juice, strawberries and water. Mix the gelatin with the sugar, and then slowly stir it into the boiling juices. Allow to cool to room temperature. Add the tequila and Cointreau. Pour into a baking pan, top with the basil leaves, and chill for 1 hour. Sprinkle with fleur de sel mixed with lime zest and chill overnight. Slice in the morning and serve. 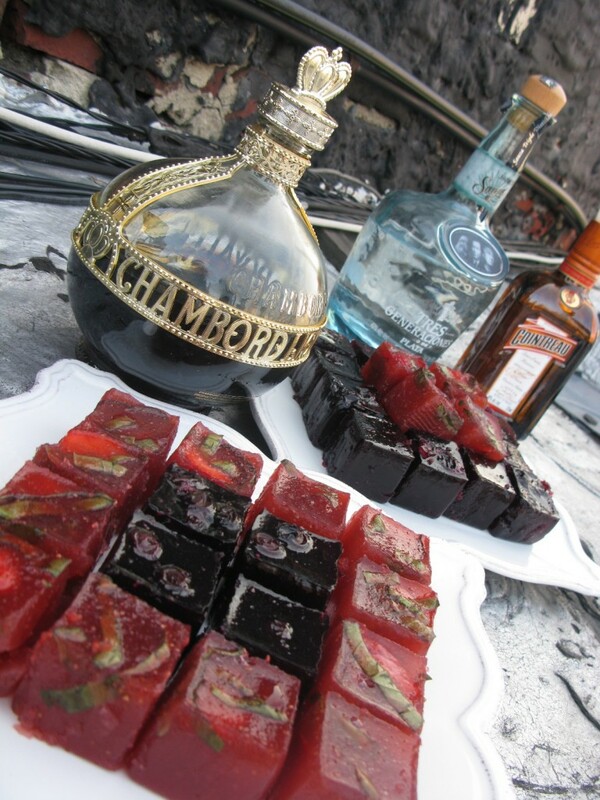 Make sure the Chambord and champagne are well chilled in the freezer. Puree half the blueberries and add enough water to get a total of 2 ¼ cups liquid. Boil the blueberry puree. Mix the Knox with the sugar, and slowly stir into the boiling juices. Stir in the remaining whole blueberries and blueberry-ginger jam, and allow to cool to room temperature. Add the Chambord and champagne. Pour into a baking pan, chill overnight and slice in the morning with a cookie cutter or sharp knife. Oooooh I just love jelly. Ooooo! Yum! I’ve shown these to all my friends and we are stoked to try them, along with the mango mojito version we made up paralleling your guidelines up top, for a party next weekend. I’ll let you know how they turn out Thanks for the inspiration! This looks amazing, thanks for sharing! I can’t wait to add this one too my recipe box and give it a try! Enjoy the jello shots! They are SERIOUSLY the most popular recipe I’ve ever written And Eileen, that grilled cheese is to-die-for. And tonight’s a perfect night to stay in and eat cheese…then again, when isn’t the perfect time for cheese?!?!? It is perfect time to make some plans for the future and it’s time to be happy. I’re read this post and if I could I wish to suggest you some fascinating points or suggestions. Perhaps you can write next articles referring to this write-up. I want to read even much more issues about it! OMG! 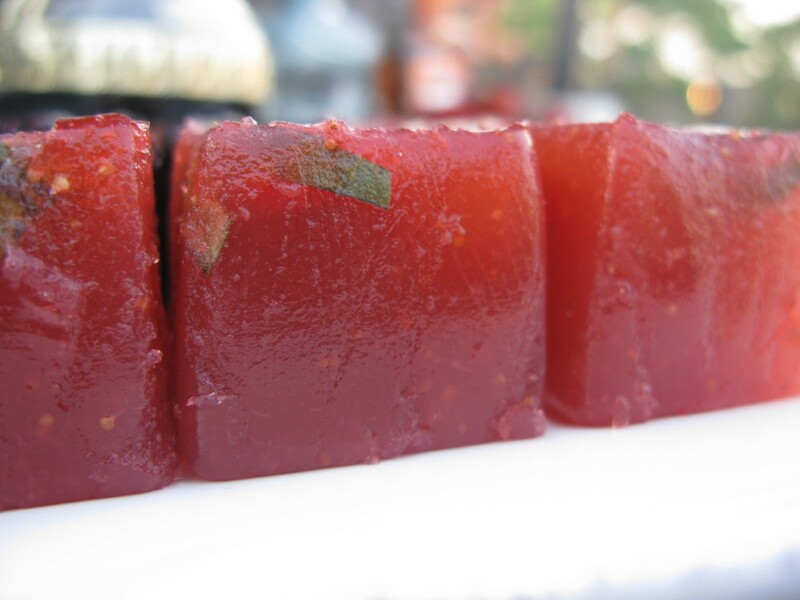 This is awesome, I’m a Jell-o lover…I’ll be definitely make one tonight for my family. Thanks for sharing the recipes. Just made a huge batch to take up to the ski house for all my friends this weekend. I made one batch exactly to your measurements and then one with mango nectar. I’ll let ya know how they go over. For now, I’m licking this bowl and it’s delish!